Union Signal is Jeff Ward and Doug Bost. From their ruined garage, they've been producing radio plays that have been heard on National Public Radio, Pacifica Radio, and Bavarian State Radio, as well as local stations across the country and Joe Bevilacqua's The Comedy-O-Rama Hour. Their plays have won awards with the BBC and the Midwest Radio Theater Workshop, as well as the Mark Time and Charles Ogle Awards. Doug Bost's screenplays include Diminished Capacity, Kubuku Rides (This Is It), Focus Group, and Policy of Truth. Radio plays include Dead Man's Hole, Roadkill, The Dan, and The Bride in the Box. His short stories have been heard on KCRW's Unfictional. Jeff Ward writes radio plays and musicals. He is the author of December 17, The Toad, Georgia, and the hard-hitting, impeccably researched documentaries Dorcus and October Surprise. He wrote the musical Take One and has written jokes for SNL's Weekend Update. Waterlogg Productions is a full service audio/video entertainment company, founded in 2002 by husband and wife creative duo Joe Bevilacqua & Lorie Kellogg. 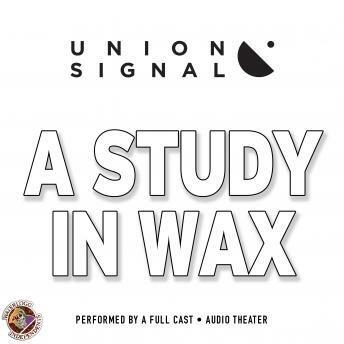 They are the proud distributors of Union Signal, whose plays have graced Joe Bev's The Comedy-O-Ram in its XM Radio incarnation. Together, Joe and Lorie have been responsible for over 150 titles distributed exclusively by Blackstone Audio. Check out their website at www.Waterlogg.com.